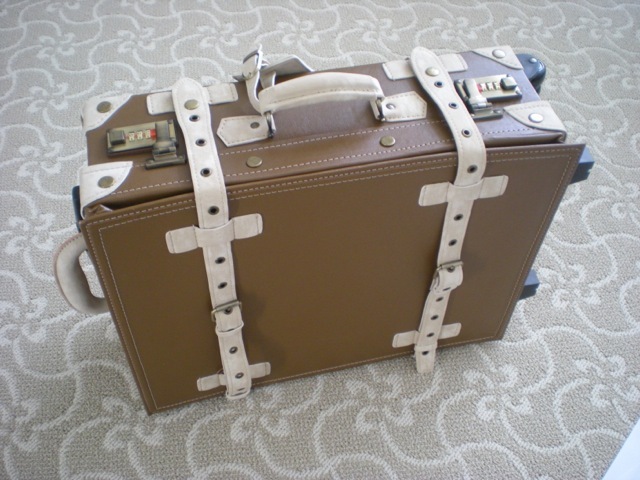 Shortly before Christmas I got a new suitcase, which came in handy for holiday travel. 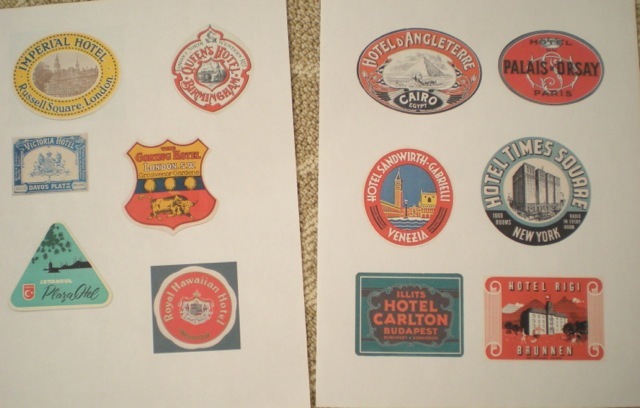 I decided to jazz it up by making my own “vintage” luggage stickers. 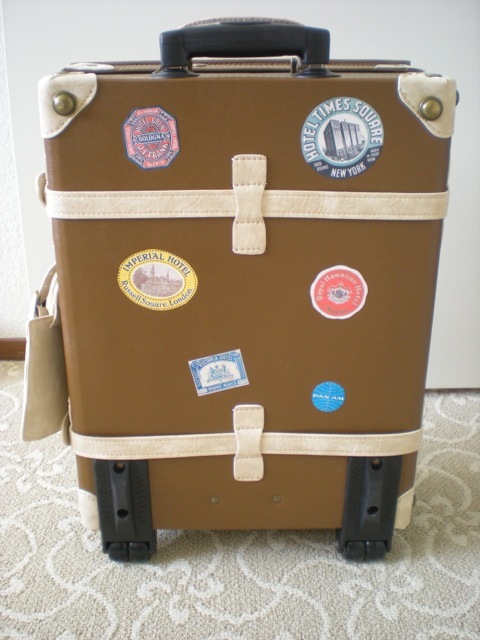 You can buy reproduction luggage stickers but I printed my own. (I have a HP color inkjet printer, so nothing terribly fancy). I found various images online, re-sized them, and them printed them on regular white office paper. 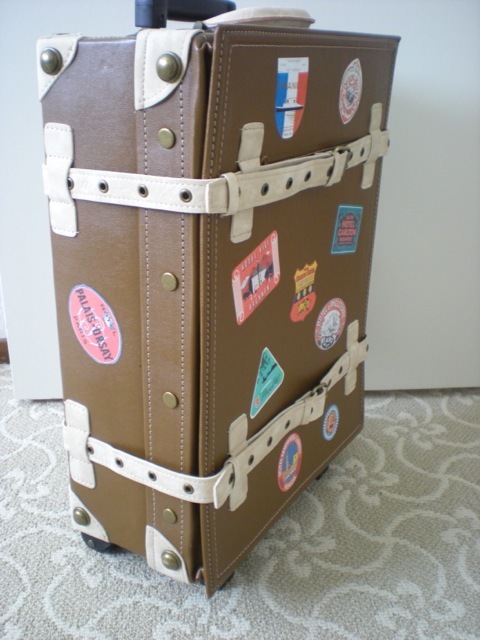 I cut each one out with scissors, then used Mod Podge to glue them onto the suitcase. I also put on another layer of Mod Podge after it dried to seal it in. (If you have printable sticker paper this would speed things up, but I didn’t have any on hand). I also put stickers on the back. 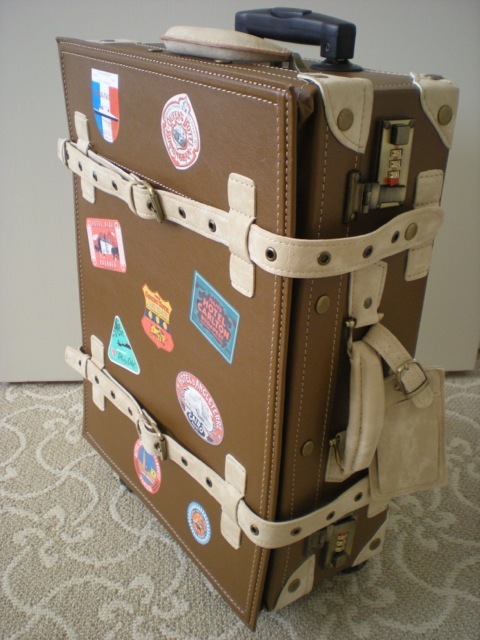 I also love the interior of this suitcase! 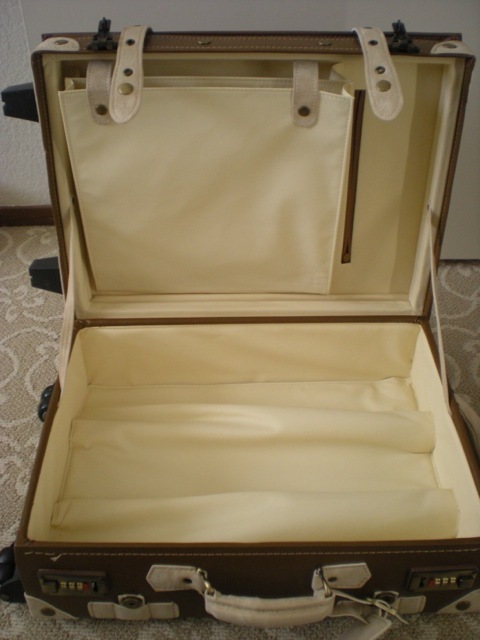 It’s lined with a soft, creamy faux leather that is much nicer than the other suitcases I’ve had. 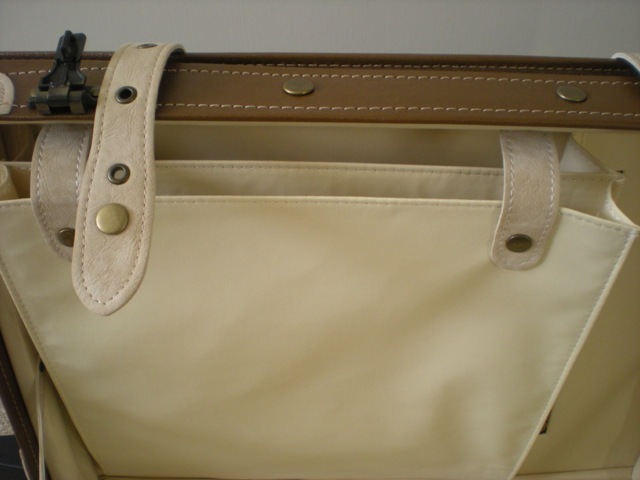 The interior pockets and snap straps were perfect for holding my iPad. Now I want to get a smart tweed suit and pillbox hat, put on some sweet shoes and ladylike gloves, and go flying! 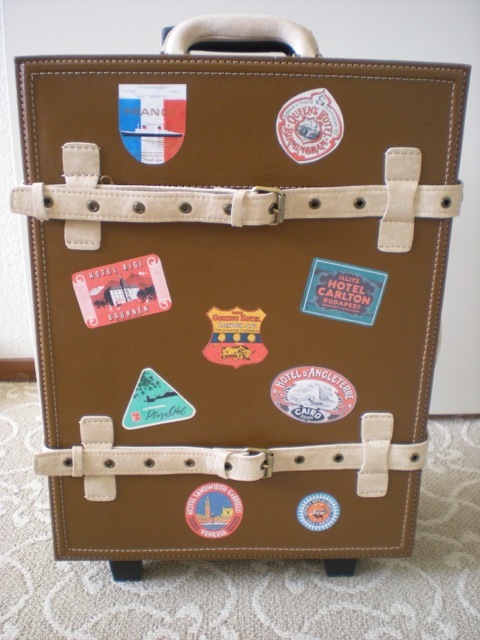 Posted in Home Decor and tagged luggage, retro, stickers, suitcase, travel, vintage. Bookmark the permalink.